An unbelievable cacophony is growing around the so-called 'collapse' of IL&FS (Infrastructure Leasing & Financial Services Limited). Repetitive fear-mongering has only added to the confusion and obfuscated the crisis to such an extent that the focus has shifted dramatically to how grave the crisis could possibly be rather than what it is on the ground. Frightful and irresponsible commentaries about a 'systemic risk' suggesting India's financial system could collapse due to IL&FS have only added fuel to fire in the markets. Monday's 1500-points swing in the Sensex was largely attributed to the fears around IL&FS and its tangential consequences. For the sake of sanity around the IL&FS discourse, let's first examine the entire expanse of the IL&FS crisis. Assume, for instance, that IL&FS is bust-which it is not-then the total hit to India's financial system can be hypothetically a maximum of Rs 1 lakh crore. This is not to suggest that Rs 1 lakh crore is chicken feed. But surely it's nowhere close to the systemic risk it's being portrayed as. If that was so, just the RBI circular of February to recognise all defaults beyond the 90th day has caused the so-called systemic risk 2.5 times that of IL&FS as it raised India's NPAs by nearly Rs 2.5 lakh crore in one stroke. And RBI's circular didn't create the kind of panic that IL&FS is causing. IL&FS's possible worst case scenario also needs to be seen in the greater context of the non-performing assets in India's banking system which is at Rs 10.3 lakh crore. Total loans disbursed by the banking system are nearly Rs 80 lakh crore. Outrageous comparisons are being drawn likening the puny IL&FS with Lehman. For comparison's sake, IL&FS's total liabilities are between $13-14 billion as against Lehman's $680 billion plus. That made Lehman 52 times IL&FS's size and scale. It's as ludicrous as it can get. Also, remember Lehman had been leveraged nearly 24 times with only $29 billion of assets backing nearly $700 billion of liabilities. IL&FS is leveraged 2.49 times (debt:networth) only at a consolidated level, which is normal for a finance firm. The second major fear comes from the commercial paper IL&FS has floated that may have reached junk status. Fear-mongerers are not reporting that the total value of this commercial paper in the market is barely Rs 5000 crore (about $685 million). Even if all of it is worthless-WHICH IT IS NOT-the total hit the host of borrowers will take is to that extent only. A host of mutual funds are believed to be holding these papers. Even if all of it reaches junk status, it's not inconceivable that India's Rs 25 lakh crore mutual fund industry can absorb a Rs 5,000 crore. IL&FS and its subsidiaries have so far defaulted on 3 interest payments on loans worth Rs 1,500 crore. Its first default was on August 28 on a commercial paper issued by subsidiary IL&FS Financial Services. The dues were settled two days later. However, it has since defaulted twice to Sidbi. This is giving rise to the speculation that all its current maturities worth a shade over Rs 12,000 crore are in danger. And its entire debt of nearly Rs 1 lakh crore is bad debt. That's far from truth. Let's not forget the IL&FS is a real company with real projects on the ground and real assets. Since 2009, it has listed over 60 pojects funded by it, including the Gurgaon Rapid Metro and India's longest road tunnel-the Chenani-Nashri tunnel in J&K which reduced the distance between Srinagar and Jammu by 30 km and travel time by two hours. It is probably facing a financial deficit of between Rs 10,000-15000 crore. The company has announced that funds worth Rs 16,000 crore are stuck with project concessions who haven't released them on time. 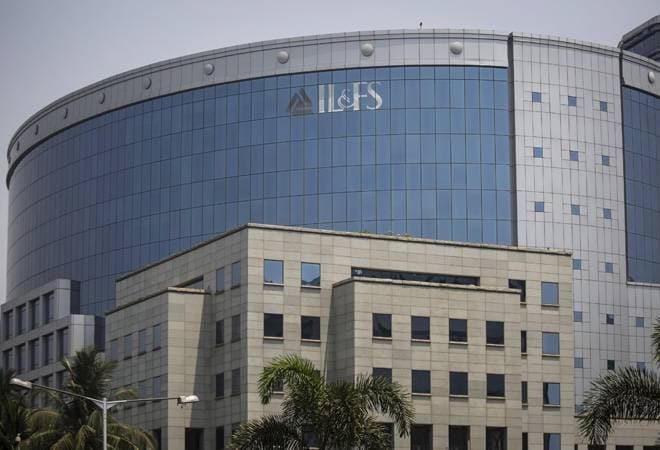 In a letter to its employees, IL&FS said: "Our monies were used to fund the cost and time overruns caused by concession authority delays in handing over right of way. It is our case that if concession authorities released our monies, which is around Rs 16,000 crore of ILFS group liquidity and stuck in claims and termination payments, we would not be in the situation that we are in". The company has initiated the process to sell some of these assets and according to an internal email by vice chairman Hari Sankaran, the company has received expression of interest for 14 of the 25 projects worth Rs 30,000 crore it has put up for sale. It is also planning to raise another Rs 4,500 crore from a rights issue. Interestingly, the IL&FS board (which includes LIC and SBI nominees) has also approved raising Rs 12,000 crore through loans and rights issues. LIC chairman VK Sharma has announced it won't let IL&FS to collapse. LIC is its largest shareholder with a 25 per cent equity stake. Its second largest shareholder Japan's Orix Corporation, which owns 23.5 per cent of the company, has also expressed interest in raising its stake to save the company. The Reserve Bank of India has ordered an audit of the company. Assuming that its assets declared in the balance sheet (fixed assets of Rs 51,297 crore; receivables worth Rs 31,259 crore; and current assets worth Rs 33,258 crore) are not fudged or inflated the fuss around the future of IL&FS ought to end sooner than later. More importantly, the inflated view of what its purported collapse means for India's financial system.